It’s 18:45, and I’m the filling in a Rwandan man sandwich, wedged into the middle jump seat between two oversized, besuited men. And I can’t figure out what to do with my arms. On the bus again (my old friend). I finished up business in Kigali, and caught one of the last buses out of Nyambugogo, never an easy feat at the end of day. The bus park was caught in a dust cloud as the morning rains had subsided into afternoon scorch, and I pressed through the crowds to try and get a ticket home. I ended up on a Fidelity bus, never my first choice of the half-dozen bus companies that run Toyota Coasters on the mountain route. But the office ticket line at my usual choice, Virunga Express, was a mosh pit crush of humanity and I didn’t feel like reliving Rage Against the Machine circa 1999 to get a $2 ticket home. With Fidelity, I seal my own fate and resolve myself for the journey ahead: a dozen “extra” stops on the way, as patrons click coins against the bus chassis and windows, and the driver eases the groaning vehicle to the side of the road for passengers to clamber out, usually over or through the human settled in the aisle seat. Virunga does a straight shot, with all passengers aware that the bus makes one stop: at the destination, not some dark wooded encampment in between. But, beggars who want to get home like, now, can’t be choosers. I’m going to regret this, I thought to myself as I angled up to the Fidelity supervisor, a young man that I’ve met several times, who calls me “my dear sister” and flirts mildly whenever I ask him for a ticket. I get a ticket (thankfully) but end up in the Aisle Seat of Doom, a sort of Inquisition-era torture device constructed like a folding metal taco with a middle bar that invariably lines up with your backbone. I make do by stuffing my jacket between my back and the seat, depositing my backpack on the floor between my legs and my moto helmet on my lap. On both sides, v-spread knees box me in, enveloping me in makeshift seatbelt: the Crowded Bus Embrace. It’s like cuddling, and you’re perpetually stuck as the large spoon. Where do my arms go? On their knees? Dangling between their thighs? I settle awkwardly with my hands folded, supplicant, on top of the helmet. I contemplate the helmet as we lurch forward, the bus braking because of a slower truck ahead. What would people do if I actually put the helmet on and spent the next two hours channeling Daft Punk up the hill? It would actually be pretty safe, right? We pull another sharp turn as the driver makes a getaway pass attempt to get around a Primus beer truck creeping up the mountain at 5km/hr. Suddenly I’m Santa on December 23rd and one neighbor is in my lap and the helmet has migrated toward the small woman crushed into the window seat. She hands it back. Ahead of me, the road opens up and I can see the dark snake of pavement wind up the next pass. In the past months, light poles have been a) installed, b) hooked up to power, and c) turned on (East Africa for the Win! ), and they form an evenly-spaced necklace of yellow diamond lights curving upwards. Tonight, the bus doesn’t bother me. The knees and elbows and strange body odors and the man yelling into his phone and the pineapples that are dangled in my face when we make a stop and the window opens to road hawkers. The next year, in its honeyed brightness, lies ahead, enticing and exciting, leading up and over and out. Freedom, in the shape of this helmet. A few months until home, a few more until a new version of this current life. The scene: Three American women in a car with a trustworthy Kenyan taxi driver (affectionately called “Small Paul”) returning to their compound lodging after dinner and shopping at a Very Western Mall (something that 2 out of 3 of the ladies have zero access to in their residential nations of Rwanda and Burundi). From the information above, deduce the answers to the following questions. 1) Which person would the three ladies least prefer to see at 9:30pm on a Nairobi thoroughfare? 2) Fill in the blanks: The police officer barrages Small Paul with questions in __________ and demands to see his __________ before noticing __________ in the front seat. 4) The police officer then threatened to __________ the women since they could not prove when they had entered the country and might be there illegally. In retrospect, and in quiz form, the anecdote transforms from heart-stopping, stomach churning moment of panic on the side of a Kenyan road to a breezy stories, one of those “can you believe that happened?” gleefully shared later in safer environs. The event occurred last week, when I was in Nairobi with five colleagues, presenting at a conference. The police “checkpoint” was an unexpected detour. It’s easier to tell the story this way, a whew of relief, instead of the way that it felt, my stomach knotted up in panic, my usually organized brain spinning out of control. He attempted the shakedown with a smile, a cold curl of his lips. My friend/colleague later summarized the terror that I felt in seeing that look: he was a man without empathy, without humanity to avail one’s self to. That is the most frightening person you can encounter, armed with power and uncaring when wielding it freely. The officer was looking for a bribe, jostling us with the weight of his legal authority, abusing his power for the purpose of frightening a few women into a shakedown. This is fear experienced by those who have no power: that those with power will use it destroy them. He threatened to take us to prison, his words cold: “Then I will have to arrest you and take you to prison because you do not have your documents. How do I know how long you have been here?” We apologized, needlessly (police officers, are not, after all, immigration police, and I don’t know anyone who travels around a city with their real passport- only a photocopy). He continued in this vein, and we continued with apologies and dogged self-flagellation. It only ended when his partner stepped in after we associated ourselves with the Embassy. We would need to call our supervisor, an Embassy official. But none of us had phones. Small Paul would help then- he could call the other three guys in our group and they could get in touch with the Embassy, right? My brain spiraled. Did they have a women’s cell in the jail? Would we be in a cell with a bunch of criminals? What if they took our wallets- our money, identification, phones- and left us with nothing? As we drove home, I shivered to think of what worse events could have transpired. But, in the end, it would have been fine. We are backed up by a powerful institution that, Paul informs us, the Kenyan police don’t really want to mess with. This isn’t uncommon in Kenya, a nation rife with corruption- one site reports that the average Kenyan pays 16 bribes a month. and Transparency International’s Corruption Perception Index ranks them as 145– with Somalia bringing up the worldwide rear at 174. It was a shattering contrast to my sweet Rwanda, coming in at an impressive 55, where my only police interactions have been waves as I drove down the road (carefully following the speed limit). 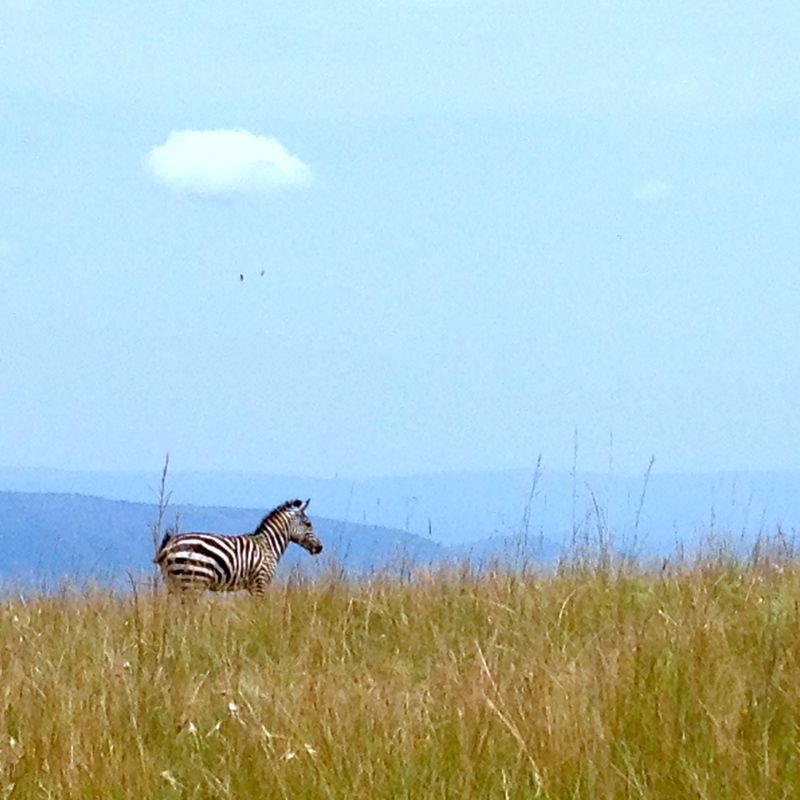 It was, on the side of the road in Kenya, a realization. As we sped away from the officers, Small Paul reassured us that we did the right thing: play dumb (“Oh, we didn’t know”), apologize, (“We’re really sorry”), promise to do it different in the future, contriteness etched on our faces (“Did we mention we are sorry? Would you like to talk to the U.S. Embassy to explain the situation?”). And, the trump card that acts as magic or poison: we work for the U.S. Embassy. Here, it was magic. Within a few moments I could breathe again and chuckled at Small Paul’s jokes. “#bringbackourgirls,” he proclaimed as he slowed and eased the car over the speed bumps in our South C neighborhood. International incident averted, at least this time. And this photo is just to end the post on a happy note… and recall what Kenya has to offer beyond corrupt police. 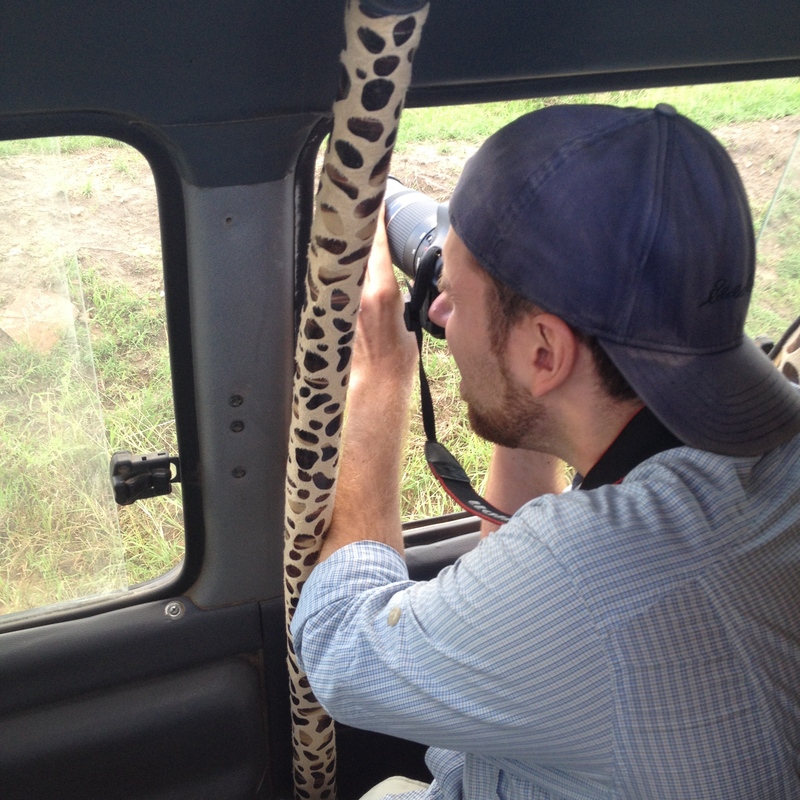 On the road again, this time adventuring in Rwanda’s East African Community neighbor, Kenya. An hour on the plane from Kigali to Nairobi and the plane touches down outside of a bustling metropolis- like going from Sacramento, a little sleepy, to the noise and jostle of Los Angeles. I’m here to attend and present at a conference, English for Effective Communication (sponsored by Strathmore University), and I’m joined by five other fellows from my program, who I will hereby refer by their countries of work: Burundi, Uganda, Ethiopia, and, from further afield on the Western end of the continent, Burkina Faso and Côte d’Ivoire. It makes for answering the question “where are you from?” a little messy. More interesting information later, but here are a few frames. 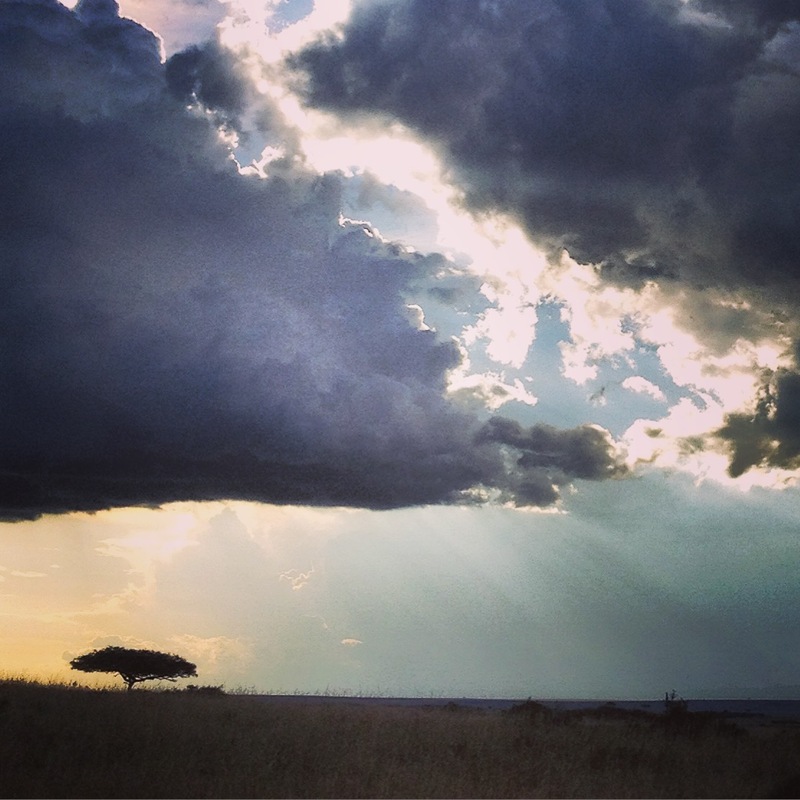 Our first stop was Masai Mara, a national park near the border with Tanzania, where the clouds were as much of an attraction as the animals. Due to recent events, tourism has dipped low in a country known for its game drives and rolling plains. 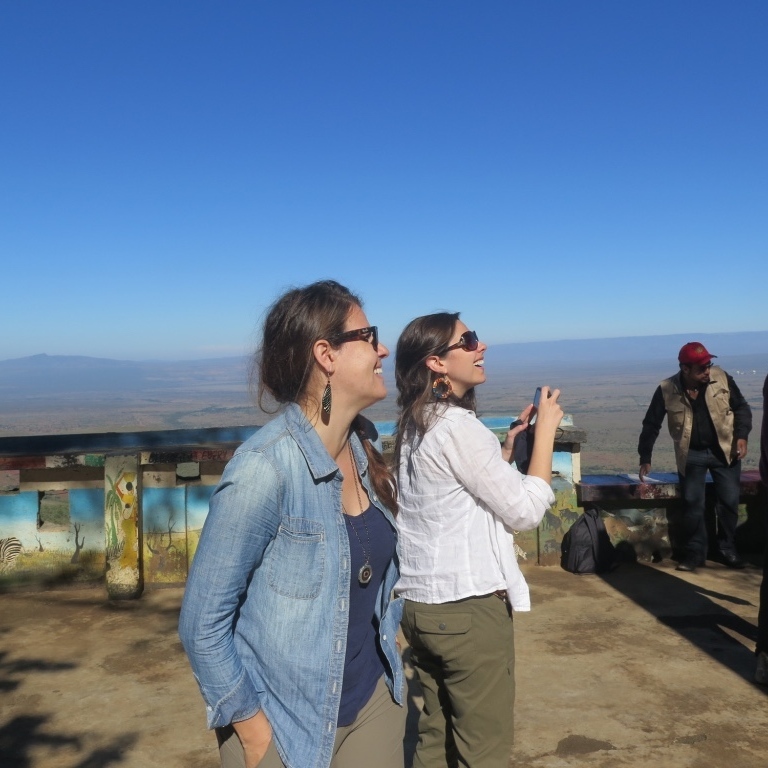 The six of us managed to get our own tour in a tricked-out matatu, and spent two days stalking the big five from the popped-out roof. Next stop, Nairobi and academic things. For now, more clouds. 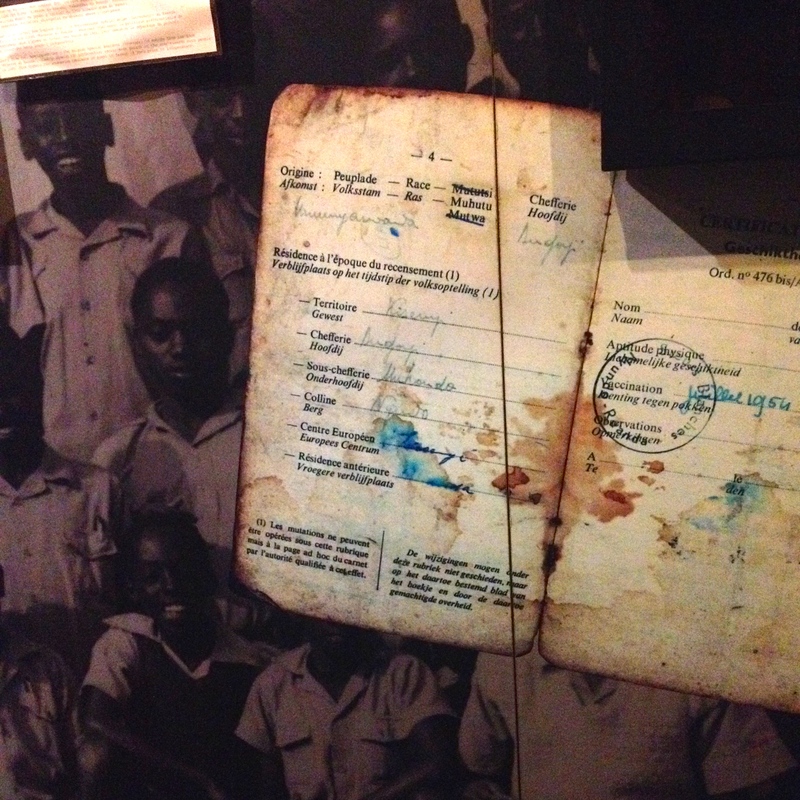 Twenty-one years ago, this week, the Rwandan Genocide began. One shot, two presidents: a ground-to-air missile struck the airplane carrying Rwandan President Juvénal Habyarimana and Burundian President Cyprien Ntaryamira near Kigali on April 6, 1994 (Power, 2002). Violence ripped across the capital and the country as Interahamwe and Impuzamugambi militias and gangs, backed by the government, set up roadblocks and actively hunted Tutsi and moderate Hutu, massacring without remorse. These groups were meticulously organized with lists of names and addresses, drained of moral sensibilities from years of vicious propaganda blasted through Rwandan media news sources. The body count from the genocide hovers between 800,000 and a million, massacred in the space of 100 days. The death count from the following years of forced migration, refugee camps, and ongoing violence in the Democratic Republic of Congo (where a million civilian refugees and the Interahamwe and other militias fled to continue wrecking violence after the Rwandan Patriotic Force took power and ended the slaughter) increases that number even further, even if the deaths of civilian refugees and bystanders are not often included in this official memorial. This week represents the formal mourning period for the nation. Businesses and transportation services operate only in the morning, shuttering their doors around noon to attend community meetings. The mood is quiet, somber, contemplative. Many ex-pats choose to leave during this week, not out of callous disregard for the nation’s pain, but perhaps because we are unable to know how to be, how to act, during this time. I am unequipped to talk to people, to say anything at all. What do you say to a person who has lost their entire family, perhaps before their eyes, or who was forced to flee their country and live in rebel-controlled camps stricken by typhoid and cholera? Violence and disease can negate social or ethnic standing: regardless of status as Tutsi or Hutu, the entire population was ravaged by the genocide and its aftermath. The genocide is inescapable here. It hovers beneath every conversation, with 1994 the time when Rwandan history was blasted in half. You hear people talk of two time periods, like Before Christ, B.C. (or Before Common Era, B.C.E.) and anno domini, A.D. (or Common Era, C.E. ): Before the Genocide, After the Genocide. 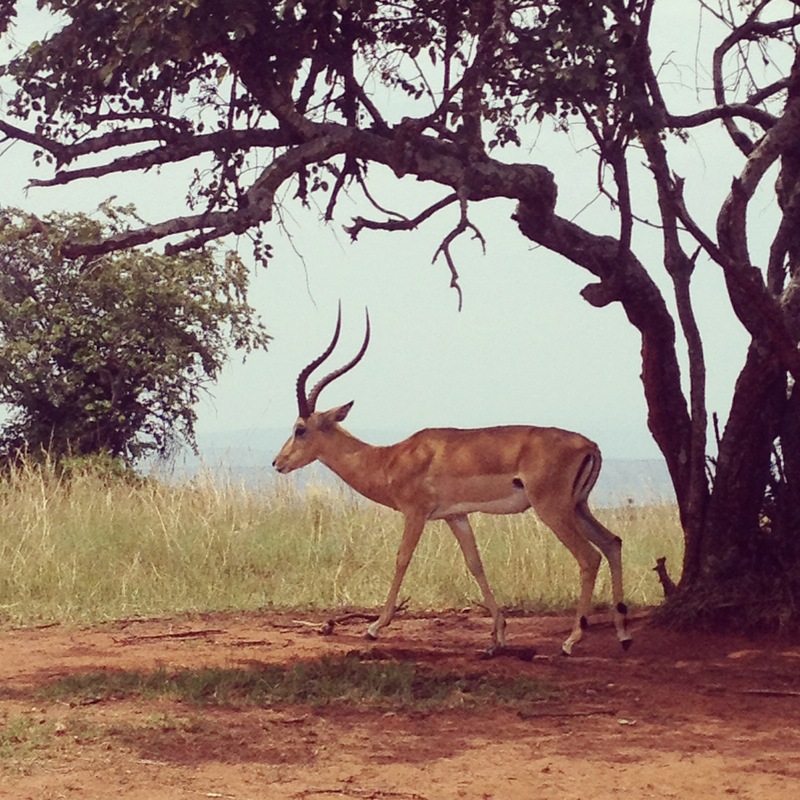 Our guide at Akagera National Park identified an impala, “Rwanda’s national animal before the genocide” and told us that “after the genocide,” the national animal became the gorilla. Before the genocide, the park was larger, just like Virunga National Park near my home in Musanze. Land was granted to returning refugees, a challenge in a country the size of Maryland with 11 million inhabitants. Before Genocide (B.G. ), After Genocide (A.G.). The word genocide was coined in English, but I can easily see it here, even in a Kinyarwanda sentence. Jenocide. It stands out, stark, clear, crimson. For the word itself, we can thank Polish-Jewish lawyer Raphael Lemkin, who I first learned about when reading Samantha Power’s excellent book, A Problem from Hell, which was later the foundation for last year’s documentary, Watchers of the Sky. Laws- those don’t make for as exciting of films, do they? No groups of soldiers swooping down on concentration camps and liberating the survivors. During the Rwandan Genocide, when no rule of law protected the country, genocidaires killed at will and Western nations were aware of the slaughter but hesitant to step in (with American politicians carefully skirting around the word “genocide” since to call it such would require them to act. See: Secretary of State Warren Christopher’s recognition of not “genocide” but “acts of genocide.”). Laws at that time would be of little comfort to those whose parents and children were cut down before their eyes. But, when the massacres ended, international law on genocide presented a framework to actively prosecute those who engineered such acts, like Jean Kambanda who faced international court four years after the Rwandan Genocide. So, on that note, may Rwanda know peace during these hundred days, and for the next hundred years. And may we remember men like Lemkin who fought for justice and became the voice of millions of Jews, Bosnians, Cambodians, Darfurians, and, of course, Rwandans. Power, S. (2003) A problem from hell: America and the age of genocide. New York: HarperCollins. 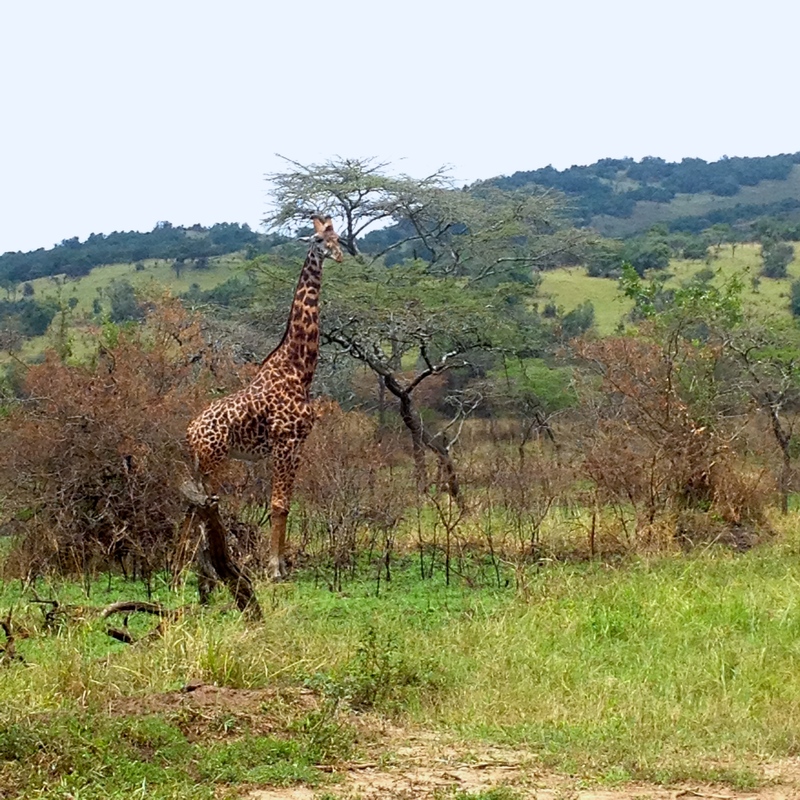 A few weeks ago, a friend Keilah and I took a trip to the far east of Rwanda, home to Akagera National Park, which straddles the border with Tanzania. It represented a few first experiences for my time in Rwanda: my first time being a 100% total tourist (without any work! 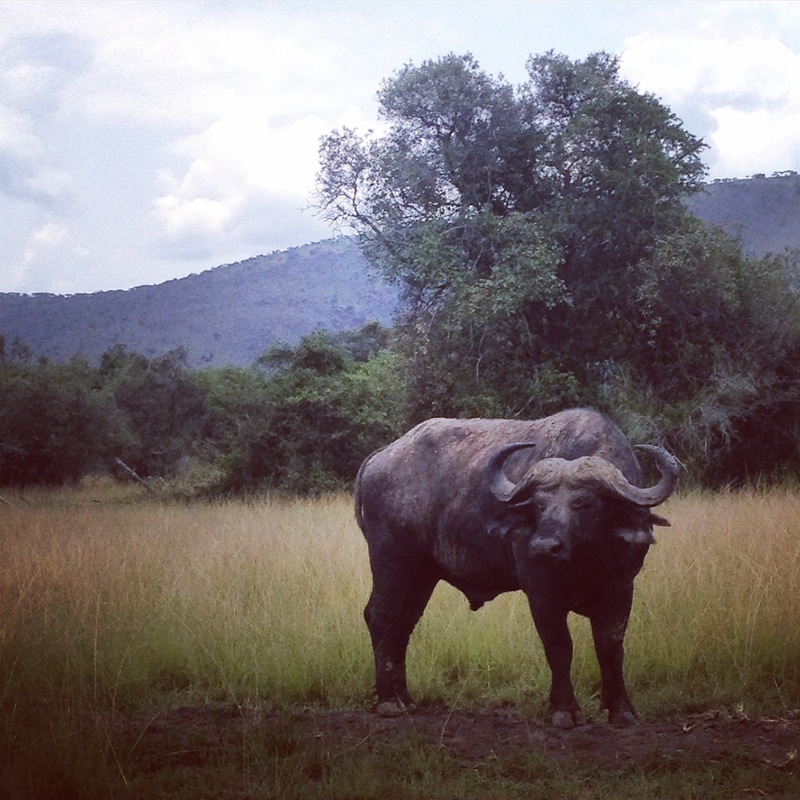 ), first time to stalk the Big 5 (in this country at least), and the first time to rent and drive a car. The thought of driving, completely controlling the vehicular movement of my person, excited nearly as much as spotting a warthog by the watering hole. We rented a mint green Rav4 (this country, like Burundi, is half sponsored by Toyota) and any fear I had of driving in Rwanda dissipated the moment I clicked the seat belt and eased the sticky clutch toward first gear. Ah, my old friend. 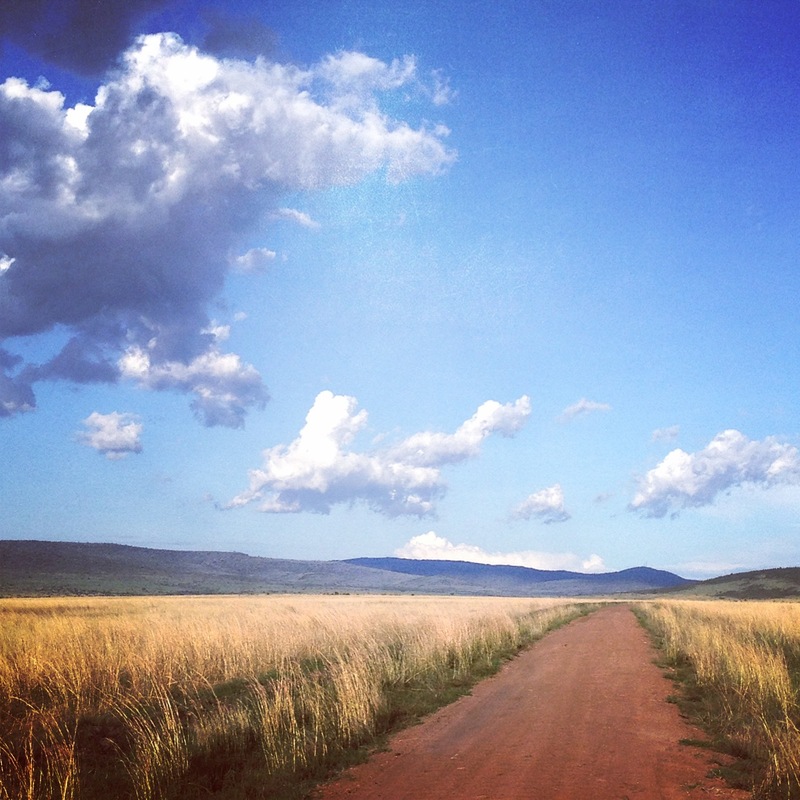 The drive from Kigali to the beginning of red dirt roads was an easy one, windy and two-laned, never faster than 70 kilometers per hour, with speed limits enforced by police officers every ten feet (or so it seemed). Driving had one key advantage over taking the bus, besides the control: “no one offers you a chicken,” Keilah and I realized as we drove along the roads heading east, noting the number of chickens, freshly slaughtered, held out to our car as we whizzed past in a minty green blur. Akagera isn’t far from Rwinkwavu, down the same road that I’ve travelled twice before to get to the Ready for Reading center where Keilah and I led training in December. The road, previously maneuvered on the backs of motos whose drivers seemed to know every divot and pothole, slipped easily beneath the wheels of the Rav4. I adjusted to the feel of being on horseback (while in the Rav) and tilted to the side. I also became quite accustomed to the road taking the wheel for me and stopped my frightened yelping, even if it took an hour of bumpy sideways-ness. 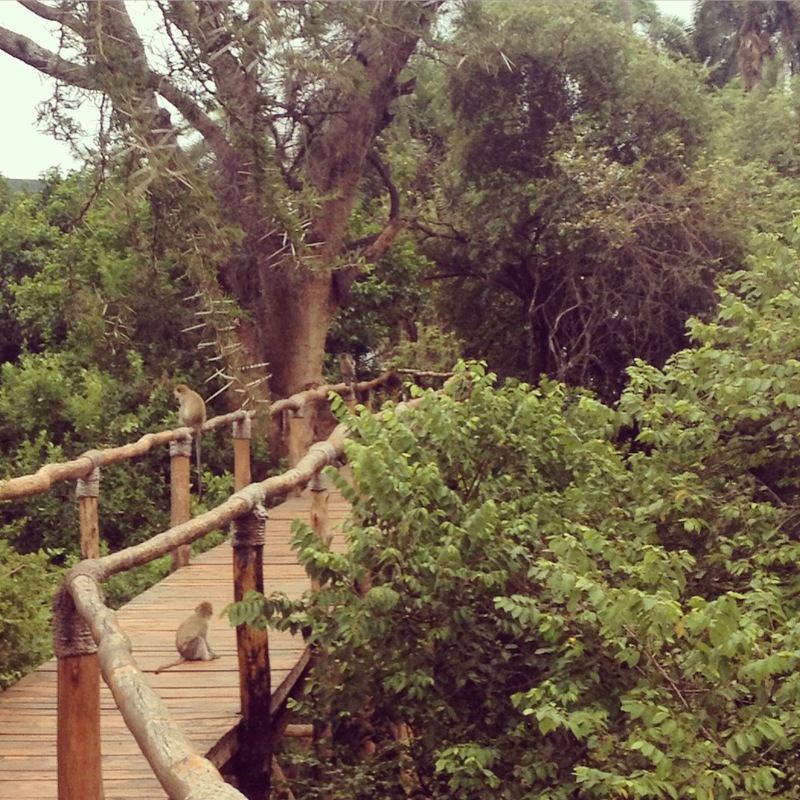 We stayed at a glorious heaven on earth, the Ruzizi Tented Lodge. 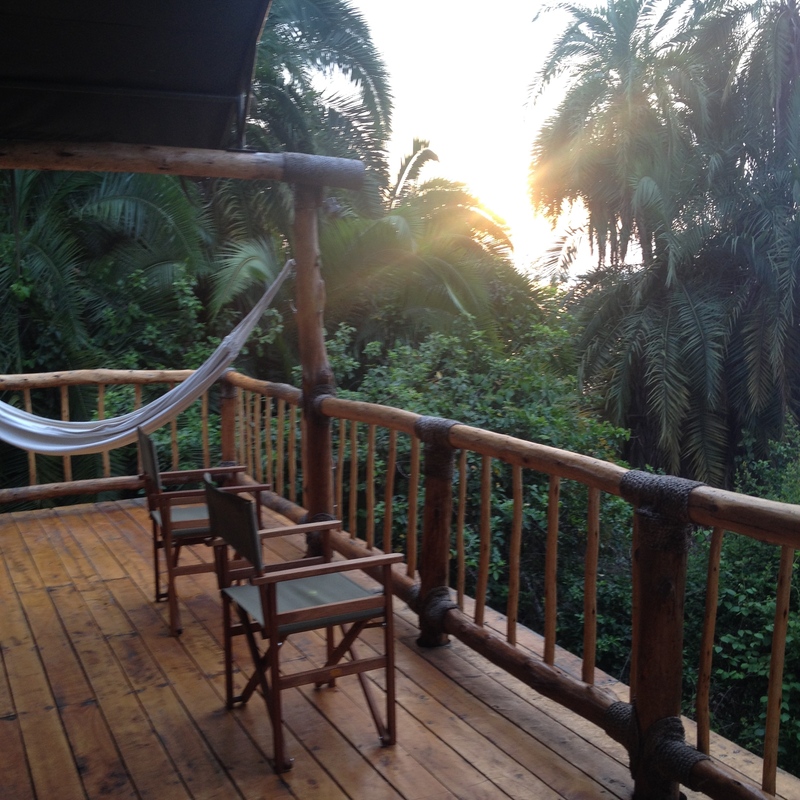 I couldn’t contain my glee at the place: heavy-duty glamping tents propped up on individual decks, all facing the lake and fringed with the jungle growth. Monkeys traipsed through the trees. Breakfast was held at sunrise. It was ridiculous. If an when I ever write a book, I’m doing it there: nothing but the sounds of nature, the swish of leaves, the odd hoots of monkeys, the buzz of whatever strange insects were to be found. It was Adult Summer Camp, complete with Chardonnay. Grading? Class prep? What papers? What work? 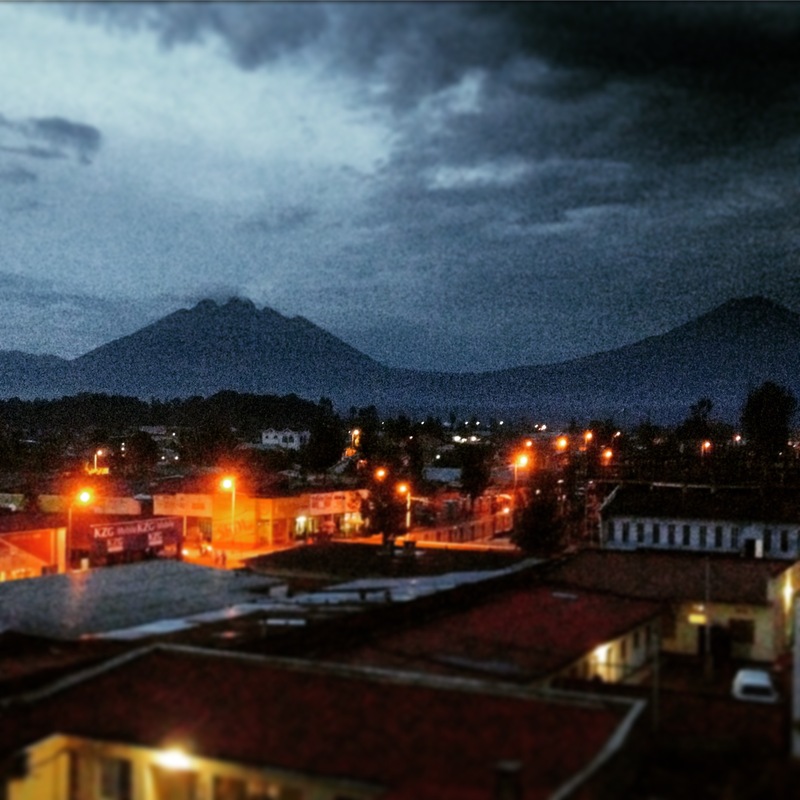 Keilah, on her fabulously-titled blog “Rwandering,” wrote a post with the highlights: driving, lake, hippos. 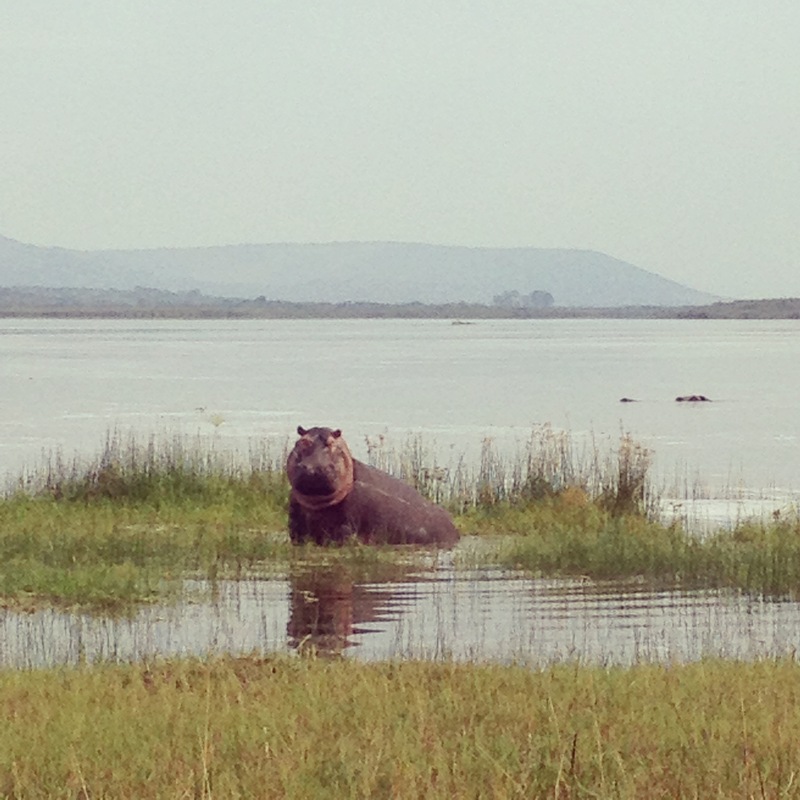 Did I mention hippos? For those unaware, hippos are fascinating animals. They look all cute and fat and cuddly, but are known to be more deadly than sharks. Don’t scare a hippo unless you have a death wish: according to this site, they kill 3000+ people per year. More than jellyfish (didn’t figure that one either, did you) and sharks combined. During the day, they stay on the edge of the lakes, reveling in the cool water that protects their delicate skin. At night, they forage for food on land which translated to 600lb land manatees tripping through the overgrowth, snorting and snuffling like old men with headcolds. I woke up about ten times the first night, thinking that there was one in our shower. 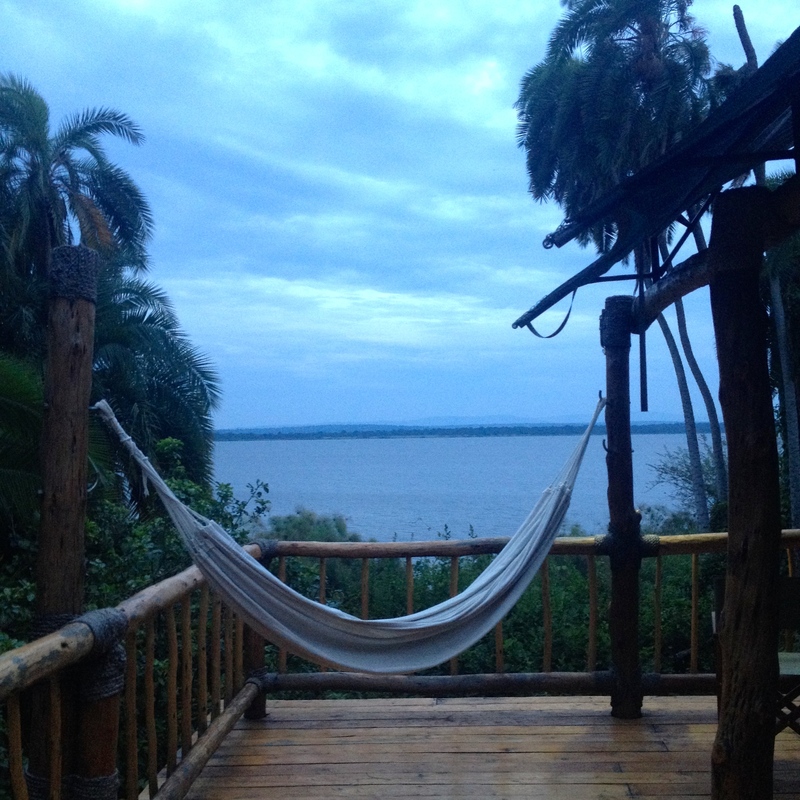 In Akagera, you have a few options. 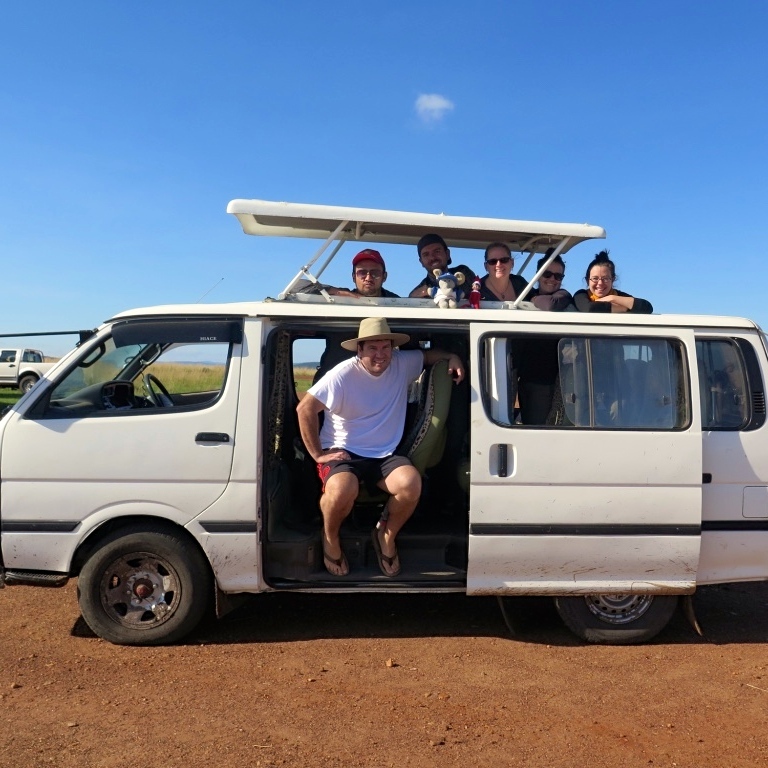 Get a driver, join a safari group, or DIY, either by yourself with the map or with one of the community guides. 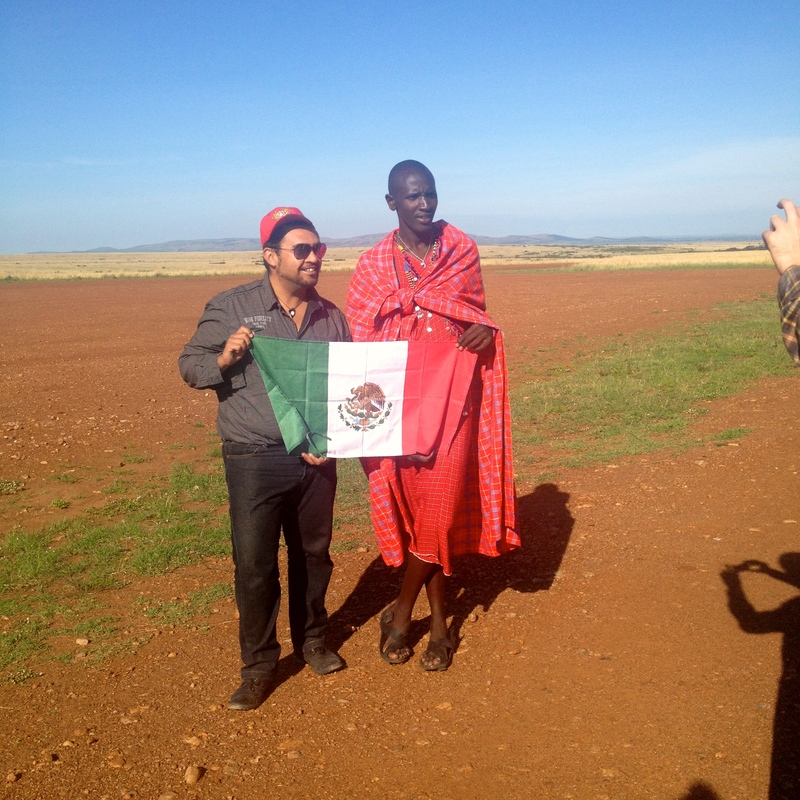 We opted for the community guide, a fella named Emmanuel, and began an 8-hour trek through the park. 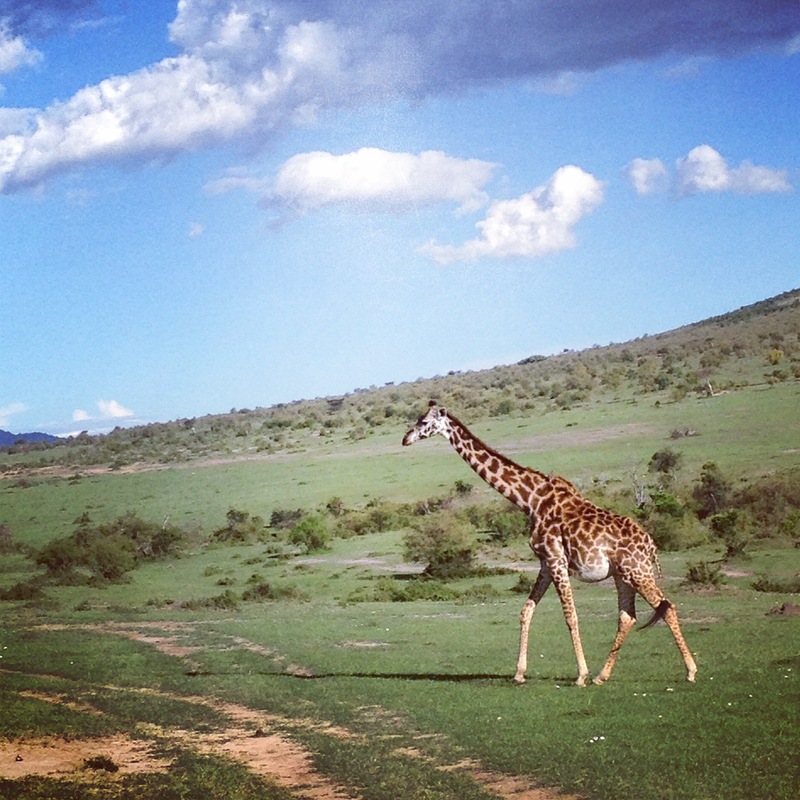 I always strive to be that person who sees Africa beyond the cliched images of safaris and savannah. But, you know what? I’m only human, and these animals are SO.SO.COOL. For the best effect, please scroll through the following animal photos, curated for your viewing pleasure, and read the captions in your best Richard Attenborough whisper. 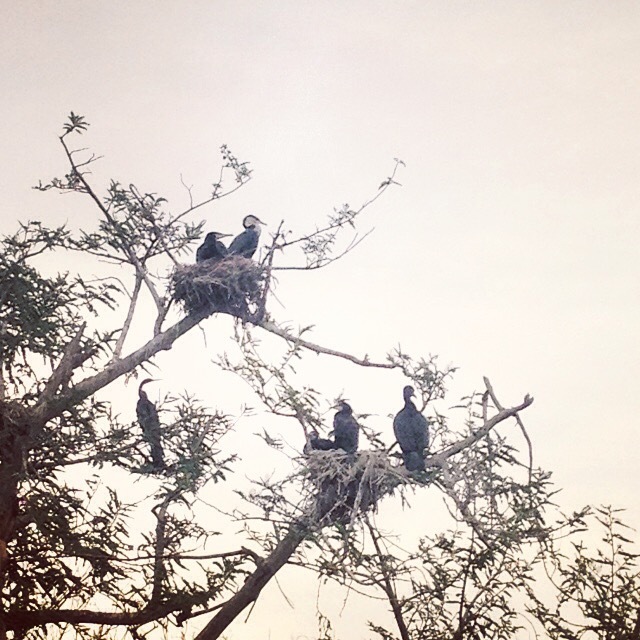 This reminded me of the “Beatles” vultures in The Jungle Book for some reason. Don’t start that again! No! Don’t run away! Come back, my pretty!